Hennessey hasn't yet shown the world a finished prototype of its Venom F5 hypercar. For a car like no other in its history, the Texas tuner is taking new steps, such as hiring ex-General Motors engineer John Heinricy as the full-time chief engineer for the Venom F5 program. Heinricy, who earned the nickname "Heinrocket" over a lengthy competitive career, has worked with Hennessey since 2010 as a consultant and test driver for both Venoms, the original GT and now the F5. The boutique maker credits Heinricy with helping the 1,244-horsepower Venom GT set a Guinness World Record for acceleration with a road-legal car, getting from standstill to 186 miles per hour in 13.63 seconds. Heinricy's "office" career includes 38 years at General Motors, starting as a college-graduate-in-training in 1970 to his retirement in 2008 as head of the GM High Performance Vehicles. In that latter role, he headed development of heavy metal like the C6 Chevrolet Corvette Z06 and Cadillac CTS-V. In between, he worked with Mark Donohue and Roger Penske in Can-Am, set three land speed records in 1990 Corvette ZR-1, served as chief engineer for the Chevy Camaro and Pontiac Firebird, has done more than 1,000 laps at the Nürburgring, and took a second-gen CTS-V to the first sub-eight-minute lap around the 'Ring in a production four-door sedan. On the racing side, Heinricy didn't hit the track competitively until he was 37, but won his first race in 1984 in a Chevy Citation X-11. Two months ago, as part of a race resume spanning more than 240 races, including thirty-five 24-hour events, he won his 14th and 15th SCCA National Championships at Sonoma. The man knows how to put a car together and make it go fast. Beyond development, testing, and production issues, Heinricy's new job will be to make the Venom F5 go faster than any road-legal car in history. The goal is 300 mph, and all the hardware's been built for the job. The all-original Venom F5 uses a steel tube-frame chassis, carbon fiber body panels, custom 7.6-liter twin-turbo V8 with 1,600-plus horsepower and 1,300 pound-feet of torque. Along with the billet aluminum block, Hennessey says those gargantuan turbos cranking out 24 psi of boost use billet aluminum compressor wheels. The entire package is said to weigh just 2,950 pounds. The only question seems to be the tires. 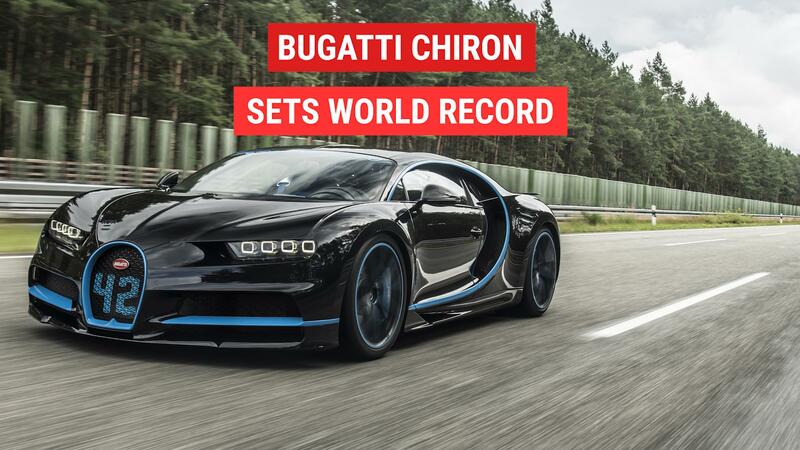 Michelin, which shod the Bugatti Veyron during its top speed record runs as well as the quintuple-record-setting Koenigsegg Agera RS, said it's "knocking on the door" of capable rubber. Even so, with buyers having already reserved 17 of the 24 Venom F5s, at $1.6 million each, breaking the record while knocking on the 300-mph door might be good enough. You can watch Heinricy talk to Hennessey about the past and the new job in the video above.